Garlic Asparagus - Made It. Ate It. Loved It. 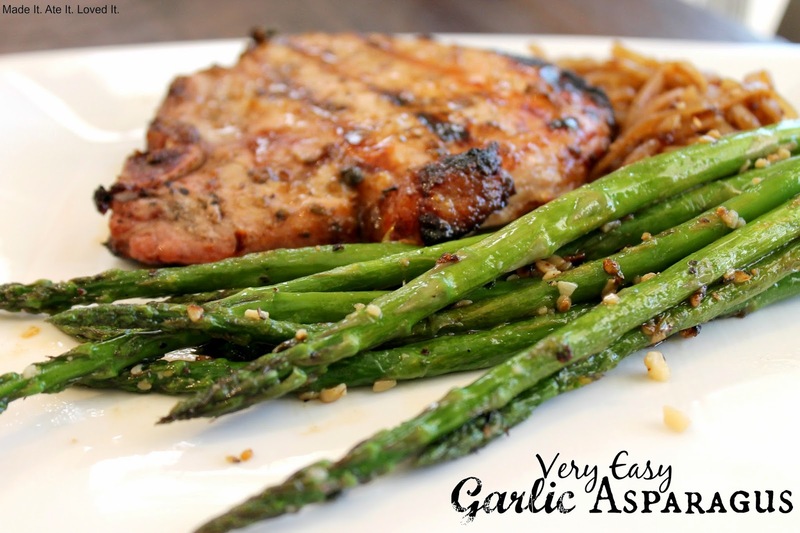 Looking for an easy healthy side dish? 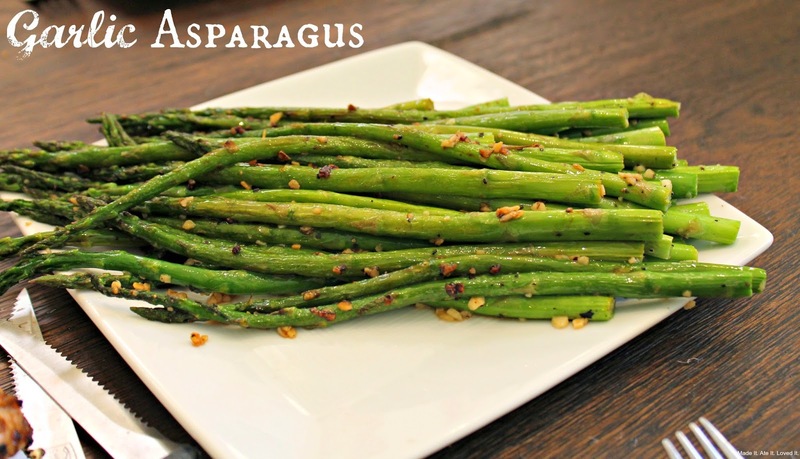 Here is a simple asparagus that can be made in minutes! Place a frying pan on your stove and heat up. Add your asparagus over medium heat. Then add your garlic. Season with salt and pepper. Add the water. Continue to look over the asparagus and stir them. Making sure that all sides and asparagus are being cooked. Add the butter. Continue to stir and cook. The asparagus will start to turn a deeper green and soften and the garlic with start to brown. Once it gets to that point grab one out and taste it. See if it is how you like them cooked. Soft but still have a crunch is how i like them! Place a frying pan on your stove and heat up. Add your asparagus over medium heat. Then add your garlic. Season with salt and pepper. Add the water. Continue to look over the asparagus and stir them. Making sure that all sides and asparagus are being cooked. Add the butter. Continue to stir and cook. The asparagus will start to turn a deeper green and soften and the garlic with start to brown. Once it gets to that point grab one out and taste it. See if it is how you like them cooked. Soft but still have a crunch is how i like them! Serve immediately.